So, what do people hate about grocery shopping? I'm sure the list is never-ending for most, but let's look at the top barriers and see if we can work around them (ever so slightly). There's no doubt that money is a barrier for most of us when we go grocery shopping and we don't want to spend our hard-earned money on food that we might not like, may be overpriced, or might spoil quicker than we can eat it. Let's first begin to understand how to get a good deal. 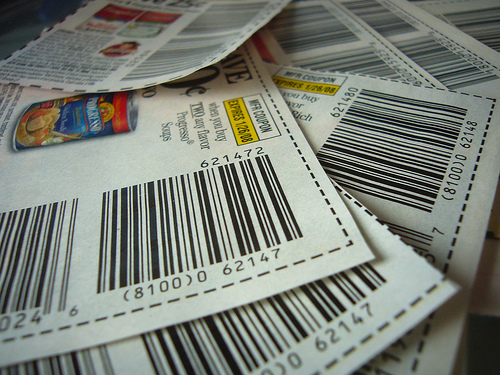 Coupons are always great to save money on products that we use all of the time, but when it comes to new products, coupons are a great way for companies to draw you in. So, that's when you get the choice to cut coupons for foods and products you use all of the time. Buying a popular brand name of wheat bread (since you have the coupon) over the generic store brand's whole wheat bread (which you may typically buy) might not be the best purchase. 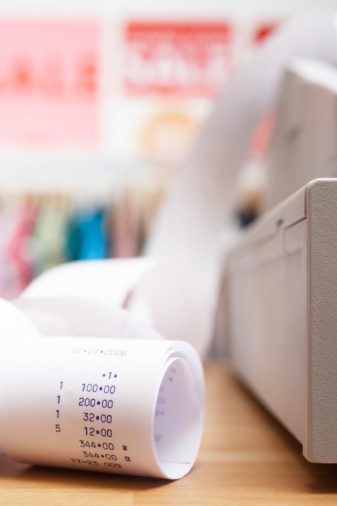 In many cases, the brand name item is still more expensive, but you think you're getting a deal. For example, the other day I went to the store and had a coupon for a brand name cereal. With the coupon of $0.50 off 2 boxes, the store brand was still more expensive than if I had bought 2 boxes of the generic cereal that I normally buy and enjoy. Of course, when it comes to healthful foods (fruits, vegetables, whole grains, etc.) and you will only eat them if you have the name brand, then by all means, I would encourage you to take advantage of the coupons for the name brands. 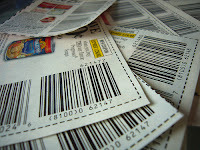 That brings me to my next thought- most coupons make you buy multiples of their items in order to receive the discount. This is a) how they get you to buy more of their product and b) usually more than we need in our homes at one time. For example, if you want to treat you and your family to a box of cookies, then you will easily find a coupon in the newspaper or online for your favorite brand. When the coupon saves you $0.75 on 3 boxes of cookies, then we have a surplus of cookies in our home, and for most of us, if it's there... we'll eat it! So, let's do the math together. If each box of cookies is $3.00/box, and you buy 3 boxes (per the coupon's rules), then you'll be spending $9.00+tax. With the tricky coupon saving us a whopping $0.75, then we'll pay $8.25+tax on cookies, when if we just treated ourselves to the 1 box of cookies to begin with, we would have only paid $3.00+tax- for less cost and less calories in the home. Let's leave it at that for today. We'll talk unit price next.... See you next time at the table! Thanks for stopping by!